October 2006. This photo sent to me by Henry Watson, East Kilbride, Scotland. 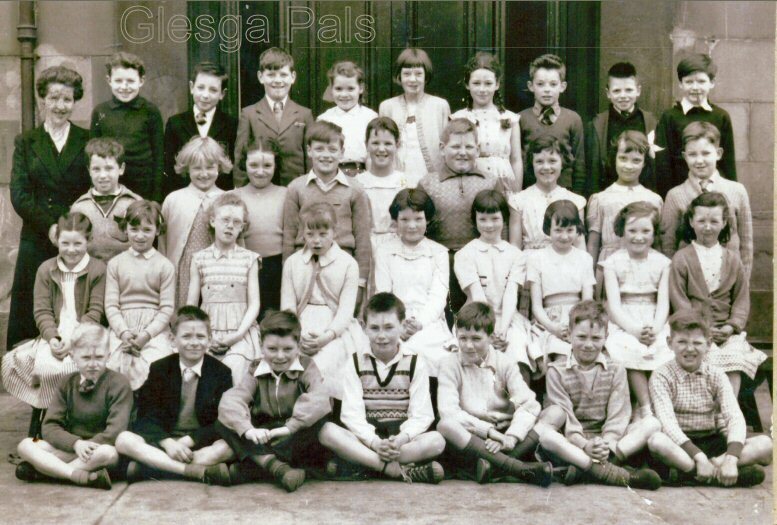 ".......... Great website I hope this photo and the 1955-56 school photo might stir a few memories. Rumford Street school closed and became a store for the council we were all moved to Strathclyde School for our quali class, the teachers there included Miss McArthur, Mrs Carragher, Mr Maclennan and headmaster Mr Frew. I then went to John Street Sen Sec school and the family again moved house to 2 MacKeith Street. I attended Sunday School at the Hood memorial church and joined the 219th juniors BB but don't have fond memories, we paraded from Anson Street to the church next door.. I played in the Caledonian Accordion Band and remember Lulu singing in the Brigton Public Hall."